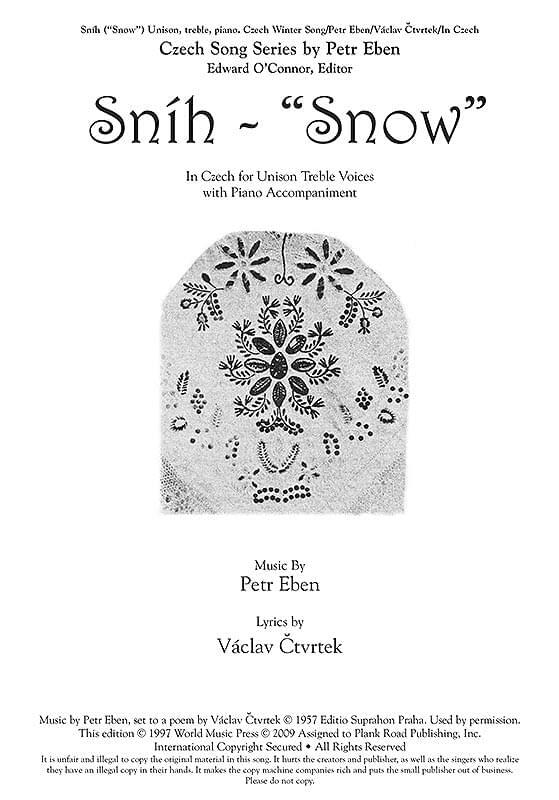 Treble unison voices with rich piano accompaniment enhance this lovely melody done in Czech. "Who lost the white feathers?... On the roof the rooster was watching... 'Snow,' he said, 'it's snowing!'." Includes translation and cultural context.